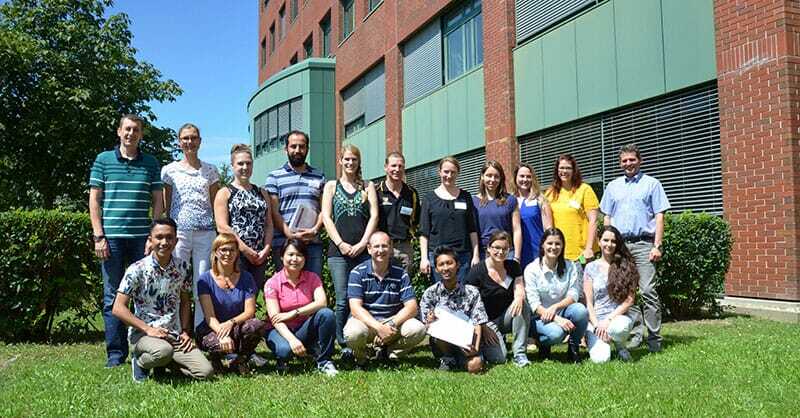 AUSTRIA - Gut health is becoming increasingly important in farm animals, and throughout the first week of August, 19 young researchers and professionals working in the area of animal nutrition and animal gut health took part in the ‘Summer School in Nutrition and Animal Gut Health’ program. The mix of conceptual learning and hands-on training was conducted by University of Veterinary Medicine, Vienna and supported by BIOMIN. The summer school targets the interface of nutrition and gut health to help the participants gain further insights into the gut function and health, as well as understand the role of nutrition on gut health. Participants attended lectures on –Omics technologies used to investigate rumen and gut microbiology and toured dairy, pig and poultry farms. Through lectures, training and course work, participants were able to earn 2.5 European Credit Transfer and Accumulation System, or ECTS, points.